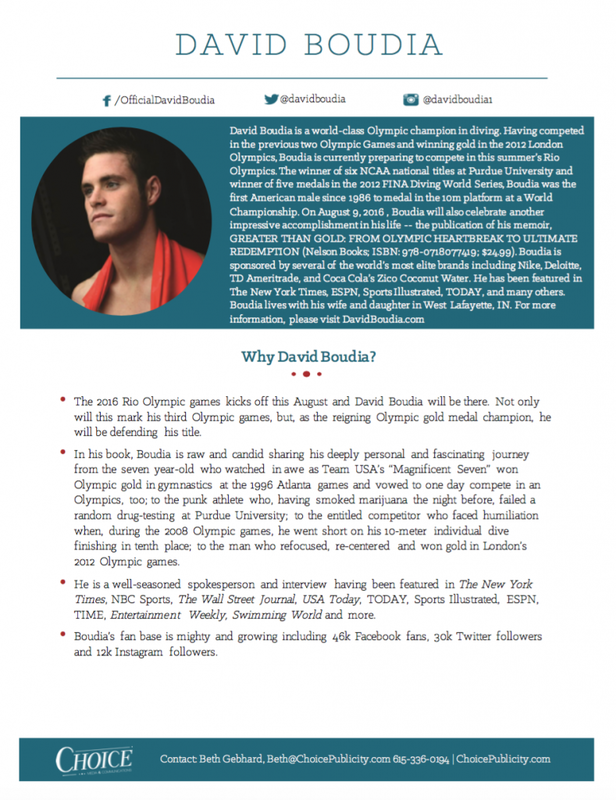 David Boudia is a world-class Olympic champion in diving. 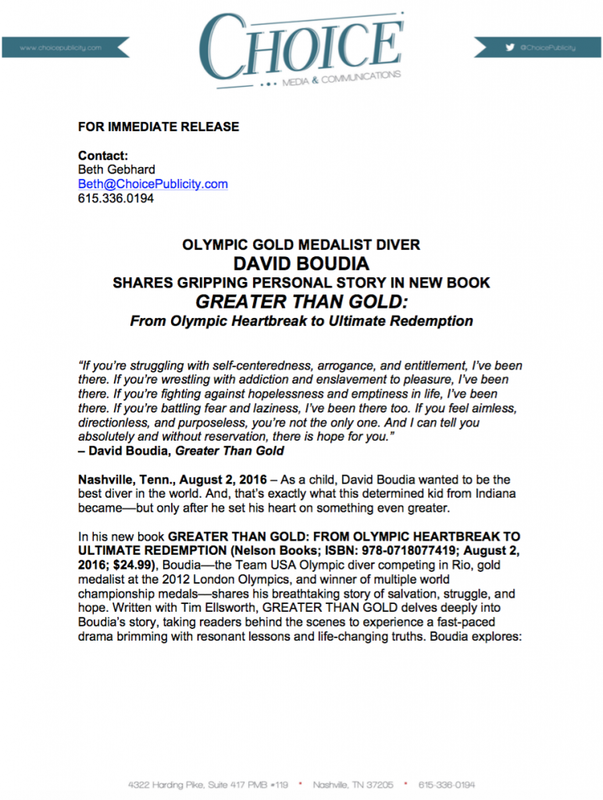 Having competed in the previous two Olympic Games and winning gold in the 2012 London Olympics, Boudia is currently preparing to compete in this summer’s Rio Olympics. 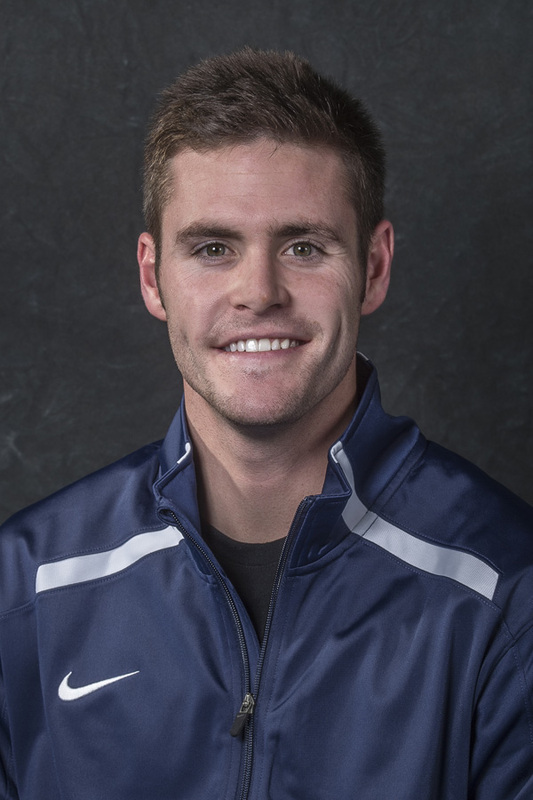 The winner of six NCAA national titles at Purdue University and winner of five medals in the 2012 FINA Diving World Series, Boudia was the first American male since 1986 to medal in the 10m platform at a World Championship. 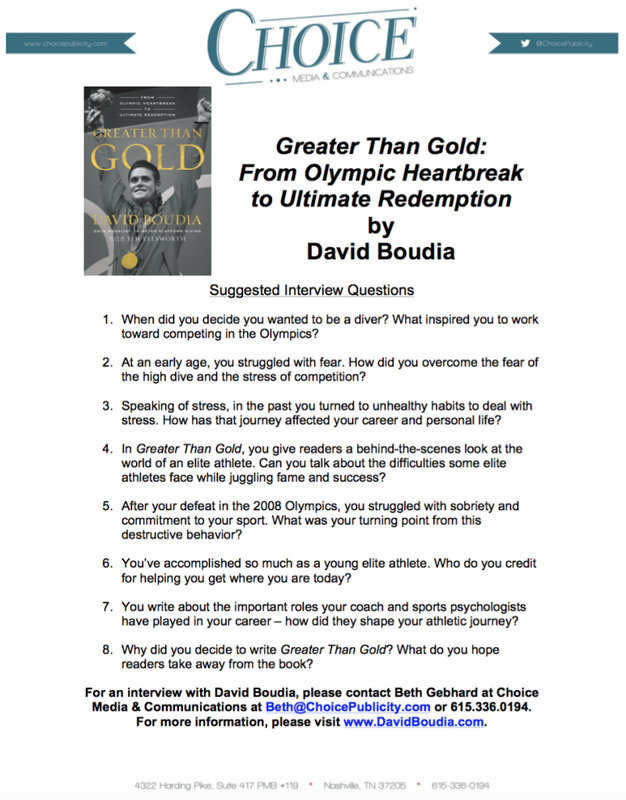 On August 9, 2016 , Boudia will also celebrate another impressive accomplishment in his life — the publication of his memoir, GREATER THAN GOLD: FROM OLYMPIC HEARTBREAK TO ULTIMATE REDEMPTION (Nelson Books; ISBN: 978-0718077419; $24.99). 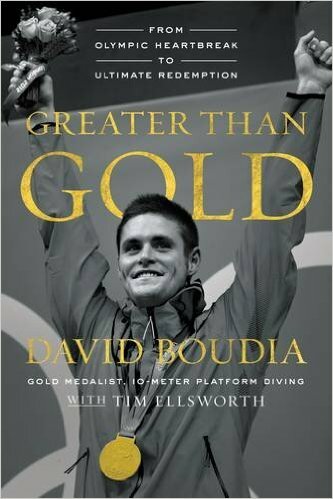 Boudia is sponsored by several of the world’s most elite brands including Nike, Deloitte, TD Ameritrade, and Coca Cola’s Zico Coconut Water. He has been featured in The New York Times, ESPN, Sports Illustrated, TODAY, and many others. 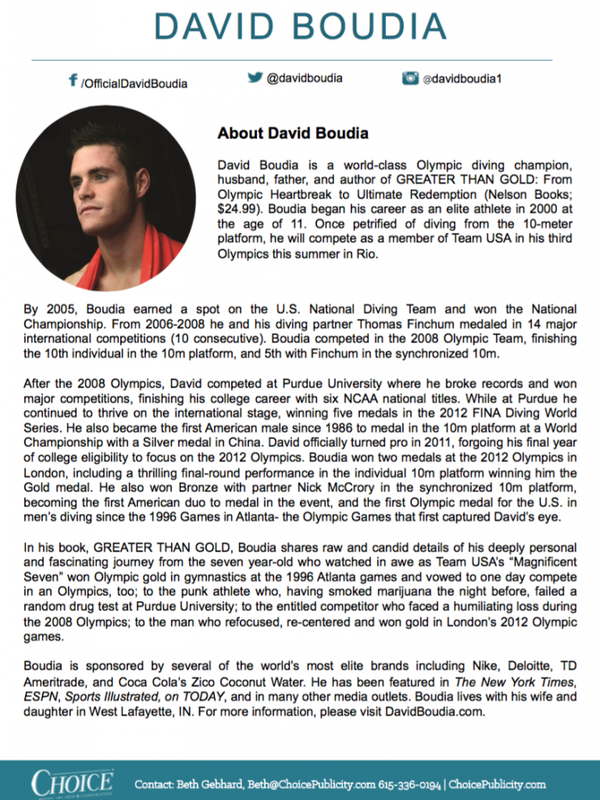 Boudia lives with his wife and daughter in West Lafayette, IN.